I’ve discovered that my friends and family members know me quite well, because for Christmas I received several baking-related gifts. 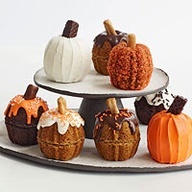 I now have a super-handy cupcake carrier, a wonderful cake carrier, THREE cake stands, and an extra bowl for my KitchenAid mixer, among other goodies. I also got a mini bundt pan and am pretty thrilled about it. 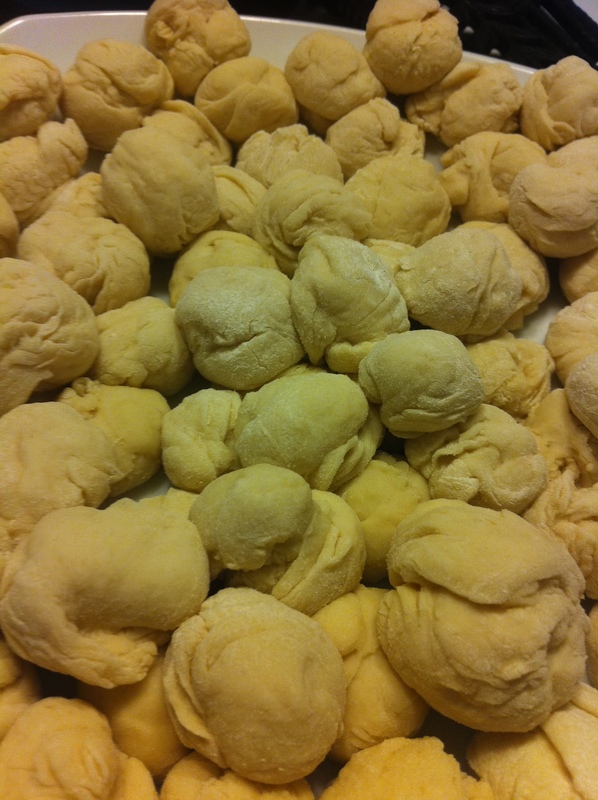 And it means I can try making mini monkey bread, too, which I’m pumped about. Step 1: Find a recipe. But, after all, I also got a dough hook for my mixer (thanks, Mom! ), and so why not give that an inaugural try, too, right? 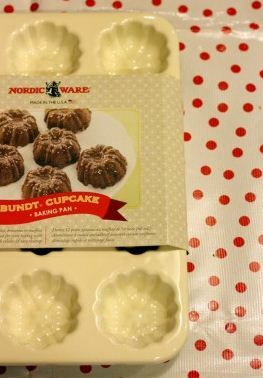 *No need to be deterred if you don’t have a mini bundt pan. You can use a muffin tin instead! Grease your baby bundt pan (really well — get in all those nooks and crannies!) and set aside. In a large measuring cup, mix together the milk, water, melted butter, sugar, and yeast. Mix the flour and salt together in a mixer fitted with dough hook attachment (which I now have — wahoo!). Turn the machine to low and slowly add the milk mixture. After the dough comes together, increase the speed to medium and mix until the dough is shiny and smooth (6 to 7 minutes). If you think the dough is too wet, add 2 tablespoons flour at a time and mix until the dough comes together (it should still be on the sticky side, just not overly wet). 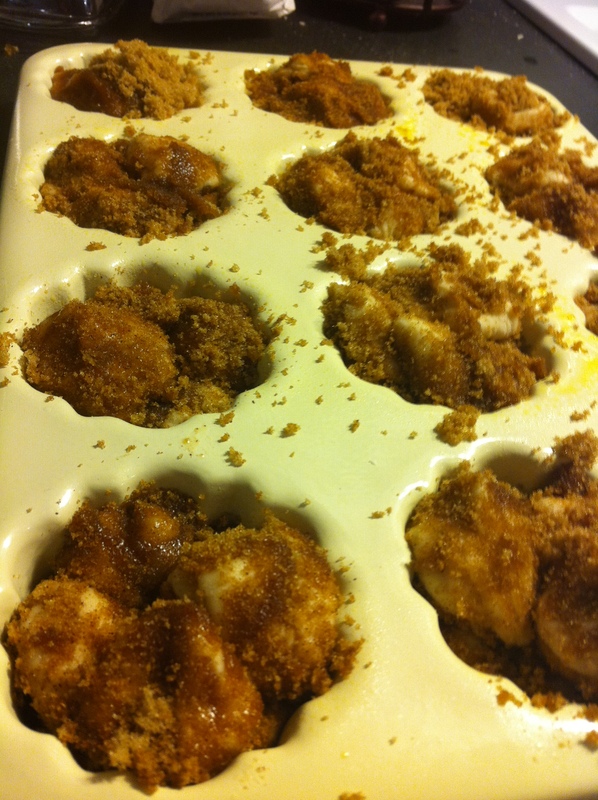 For the sugar coating, while the dough is rising, mix the brown sugar and cinnamon together in a bowl. 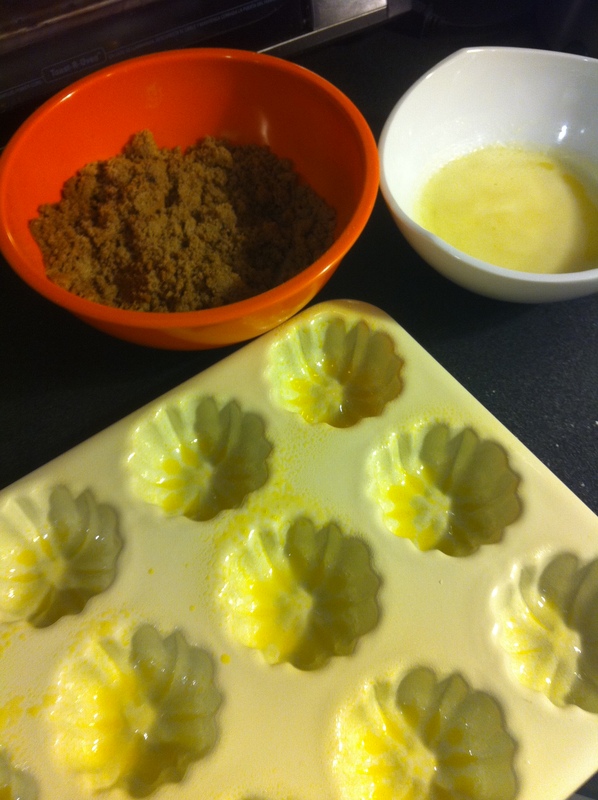 Place the melted butter in a second bowl and set aside. 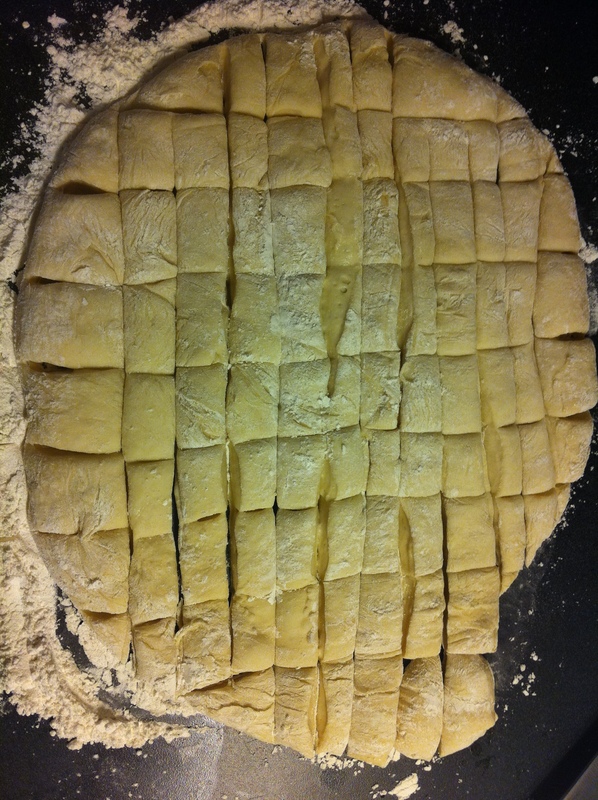 To form the bread, gently remove the dough from the bowl and press it into a rough 8-inch square. Using a knife, cut the dough into 64 pieces or so (I made mine a little smaller since I was going to be using the mini bundt pan and this recipe was for “regular” monkey bread). Unwrap the pan and bake until the top is deep brown and caramel begins to bubble around edges 12 to 15 minutes. Cool the monkey bread in the pan for 5 minutes (any longer and the bread will be too sticky and hard to remove), then turn out on a platter or large plate and allow to cool slightly, about 10 minutes. For the glaze, while the bread cools, whisk the powdered sugar and milk together in a small bowl until the mixture is smooth. 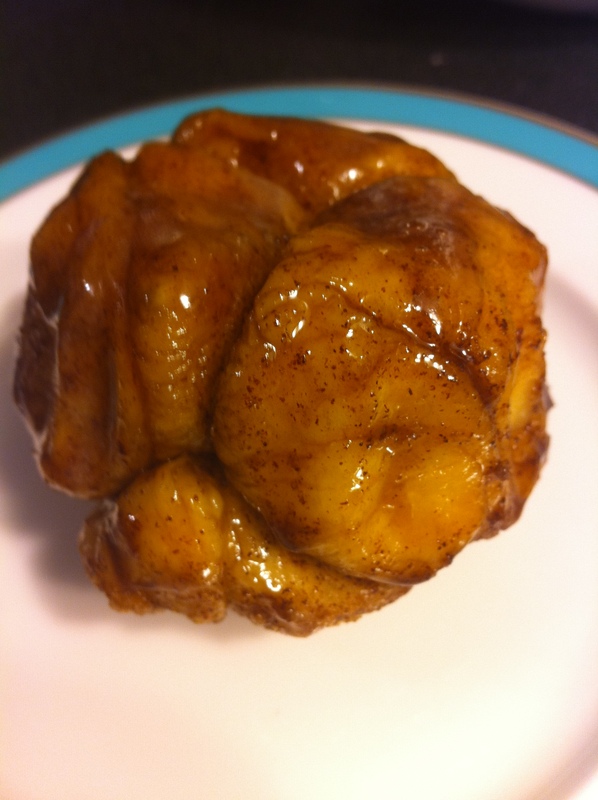 Using a whisk, drizzle the glaze over the warm monkey bread, letting it run over the top and sides of the bread. Serve warm. NOTE: If you want to prepare this in advance (since it does take a while, and if you’re having monkey bread for breakfast or brunch I’m sure you don’t want to wake up four hours in advance to get it prepped), you have two options: 1. You can make the complete recipe — baking and all — and then, once the bread has cooled completely, wrap it in foil (don’t refrigerate) and then heat it up in a 300 degree oven for 10-15 minutes before serving. 2. Prepare the recipe through the putting-the-dough-into-the-pan step, but before baking cover the pan with plastic wrap and place it in the refrigerator. When you’re ready to bake in the morning, pull off the plastic wrap and complete the recipe.